Nicola Formichetti reports on the sixteenth Unique collection from Topshop, styled by Katie Grand. London Fashion Week kicked off with an explosive Topshop Unique show. Now in their sixteenth season, they successfully captured the rebellious streak of British youth culture from the 50s' onwards with a nod to teddy boys, mods, rodeo and seaside towns' teenage girls. A mix that sounds wrong on paper but in reality, the design team managed to conjure up different facets of youth that would make most people smile and reminisce. Indigo denim jumpsuits were a key look but they were contrasted with sugary shades of jade and candy pink. 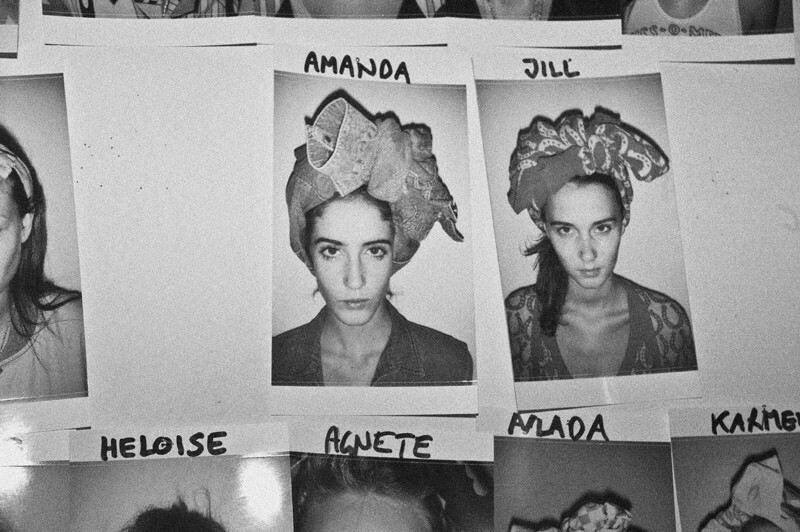 Girls had head scarves on tied in the style of 50s' housewives (or contemporary Amy Winehouse fans perhaps). Stylist of the show Katie Grand said "We mixed the 50s teddy's masculine silhouette with colourful feminine teenage girls, with a hint of 80s." Topshop Unique's design team have come up with a collection that was upbeat and desirable, and has taken Unique up another level since they first started showing their collections.